Variety, as they say, is the spice of life. However, when it comes to explore a great variety of technological services, it may turn to be rather puzzling instead. In almost every tech enterprise, all product or service names are assigned at free choice by product owners and this tends to be influenced by marketing trends or even potential clients’ preferences. 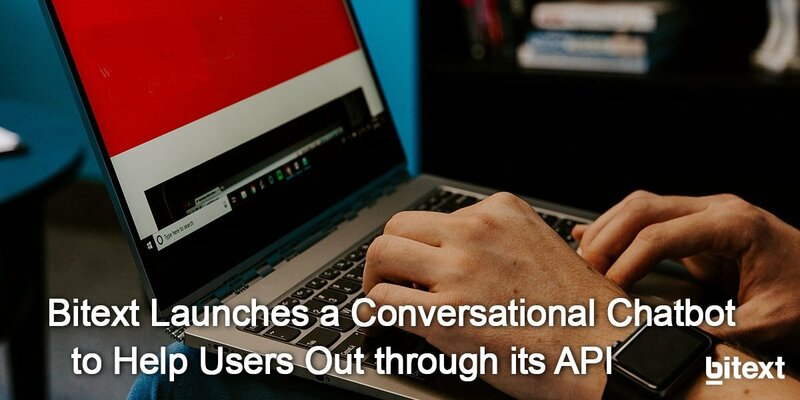 That’s why Bitext has recently developed a chatbot to guide users navigating through its API enhancing their experience much further. In case you need information about every single tool offered there, you just need to ask it to the virtual agent through natural language, of course. Here you can see a brief sample of a user query and the answers sent back to him. The Bitext API bot has been created via the DialogFlow platform and its training was, undoubtedly, carried out through our Variant Generation tool, providing it with more than 200 variants per intent. Apart from that, our Query Rewriting & Simplification Tool has been also applied so it can understand even queries with two or more intents, as seen in the example above, and negative statements. Let’s try it now and discover every single product. You just need to ask him as if you were talking with a friend. Easy-peasy!